Florentio Ulrich DE SOUZA completed his computer design engineering degree at the Ecole Polytechnique d’Abomey­Calavi of Université d’Abomey­Calavi in Benin. He discovered a passion for programming very early on. He participated in several national and regional competitions such as the ACM International Collegiate Programming Contest (ICPC) that is organized by IBM very year. In 2012, he began mobile and web development with a focus on Android. He is the designer and developer of Jobber, an Android application for job postings in Benin. This application won awards at the Android Africa Challenge organized by JCertif International and the MTN Apps Challenge organized by the major mobile operator, MTN Benin. Jobber also won the second place in the Africa Mobile Content Award of World Summit Award (WSA) Benin in the mInclusion and mEmpowerment category. He participated in the WSA event in Abu Dhabi in February and in the HackXplor hackathon in Liège in July. He met Frederick H.E. Gaba and Laurel O. GBENAFA at the hackathon and they began to work on MeeLearn once back in Senegal. 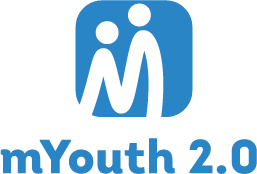 Meelearn won the mYouth contest in Senegal in 2016. Florentio is a developer of mobile and web applications for different fields (banking, advertising, tourism, gaming, health, education, etc.). His main goal is to help people solve problems with software solutions. He developed the winning application MeeLearn together with Frederic H. Edouard Gaba (3rd year Software Engineer student at NIIT Senegal) and Laurel Oronce Gbenafa (3rd year Software Engineer student at NIIT Senegal).